Confession : I'm a body moisturiser junkie. At this moment in time, I currently have about ten of them sitting around my room. I don't know whyyyyy I need so many, all I know is - I do. Anyone else like this? I love a good body moisturiser. More importantly, I love a good cocoa scented moisturiser and thankfully, Vaseline delivers well on this. I'm a massive fan of the Vaseline Spray and Go moisturiser (review here) and I've repurchased it again and again without hesitation. 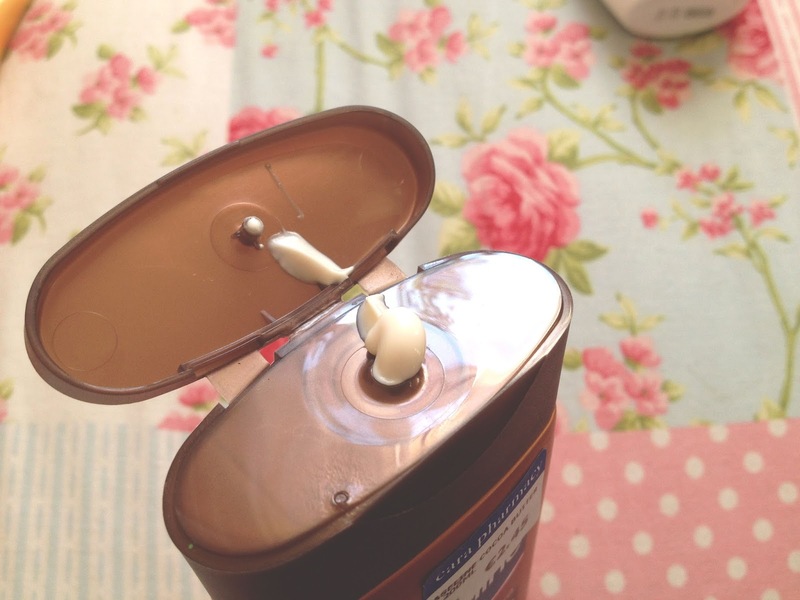 Completely disregarding the fact that the Vaseline Spray and Go 7€ a can and a little on the pricier end of the scale, but yano..... it is the ultimate lazy girl companion. But sadly, this lazy girl is on a very tight budget at the moment and I need to make cuts here and there, which is why I jumped for the original version of the spray and go (lotion lotion form) when I spotted it in Cara Pharmacy for €2.45. 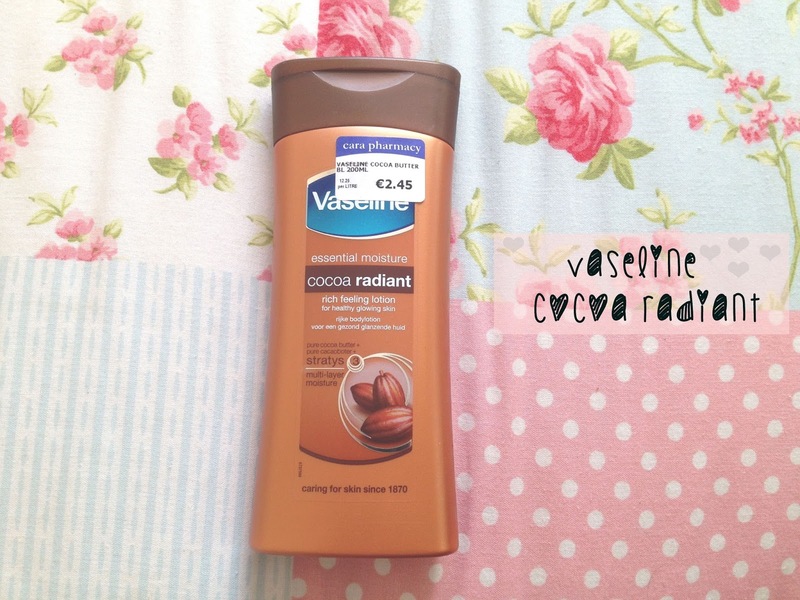 The Vaseline Cocoa Radiant lotion, smells exactly the same as the Vaseline Spray and Go version which is a win for me because I'm pretty darn obsessed with the scent alone. There's something about Vaseline cocoa scented products that stand out for me. I like to apply a good layer when I get out of the shower, throw on a fluffy pair of pjs and let my skin soak up all the cocoa goodness. My skin feels soft, smooth and smells amazing!! Bonus tip - I found adding a light layer of the Spray and Go on top of this really layers and intensifies the scents and allows it to linger longer on your skin a little longer. This looks amazing! I love moisturizers too, I can't get enough! I've never tried any Vaseline products though. Great review!